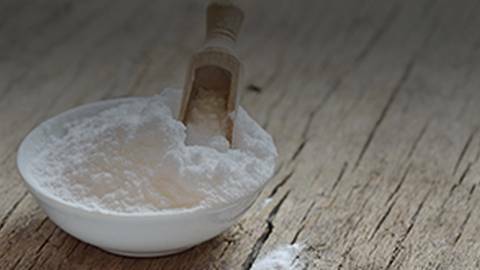 Medical Program: Could a Daily Dose of Baking Soda Combat Autoimmune Disease? When someone says sodium bicarbonate, you might not automatically recognize it, but you probably have some in your home right now. Better known as baking soda, many Americans have a box in the pantry for baking, another in the fridge to absorb odors, and maybe even 1 more under the sink, just for good measure. But what if this household product could also be used to stop the destructive inflammation of autoimmune diseases, such as rheumatoid arthritis? Welcome to “Clinician’s Roundtable” on ReachMD. I’m Dr. John Russell, and joining me today is Dr. Paul O’Connor, renal physiologist in the Department of Physiology at the Medical College of Georgia at Augusta. Dr. O’Connor will be sharing the results of this recent study on how drinking baking soda can help treat inflammatory diseases that was in the Journal of Immunology. Dr. O’Connor, welcome to the program. So, how did you and your team first kind of put the connection together of using baking soda and investigating autoimmune diseases? So, I run a renal physiology lab here at the Medical College of Georgia, so actually, what we were intending to study when we started these studies was actually kidney disease in a rodent model. One of the things that happens in chronic kidney disease patients, once you lose enough renal mass, is they can’t produce enough ammonium to excrete a daily acid load, nor to replace the bicarbonate that’s used, so they end up developing a metabolic acidosis. In order to sort of prevent the sequelae from that, which include bone loss, muscle wasting, it’s quite common now to give sodium bicarbonate supplementation to bring plasma bicarbonate levels back up. And a number of small clinical trials have indicated that actually, surprisingly, not only does sodium bicarbonate supplementation prevent some of the sequelae, but it actually slowed the progression of chronic kidney disease, and this was true even in patients without preexisting metabolic acidosis. So, what we were really interested in was: How does sodium bicarbonate supplementation slow chronic kidney disease? So, we were looking at supplementing sodium bicarbonate in a rat model of kidney disease. In doing that—we actually noticed we have some collaboratives that do a lot of immunological work—that we saw a change in the immune profile in the kidney towards an inflammatory profile on rats that were given sodium bicarbonate 2, and we got more interested when we realized this was occurring even in models that didn’t have kidney disease. And then later, we actually tested this in a small trial in healthy individuals and were able to see that this effect occurred acutely after a single dose of sodium bicarbonate, so that’s how we really got started with the idea that sodium bicarbonate may have an effect on the immune response. And certainly, it makes a whole lot of sense in kind of the acid-base paradigm that we’re going to use bicarbonate, but what do you think is mechanistically happening to these inflammatory cells? What we think is happening… So about 20 years ago, Kevin Tracey’s group at the Feinstein Institute in New York first identified something known as the cholinergic anti-inflammatory pathway, or reflex. When they did this, they found that stimulation of the vagal nerve prevented sort of the overt inflammation in sepsis and was protective in sepsis, and since then there’s been a whole host of studies done showing that stimulation of the vagal nerve, or vagal efferent nerves, stimulate an innate anti-inflammatory response that originates primarily in the spleen. We actually sort of fell into this. We thought we’ve got this anti-inflammatory response in the kidney and we wanted to know where are these anti-inflammatory polarized cells coming from, and we looked at the spleen and realized they were coming from the spleen. And now our data points towards that we’re activating the same cholinergic anti-inflammatory response that people have been activating for over 20 years now with vagal stimulation. I was fascinated when you talked about these mesothelial cells and how they interact with the spleen. Would you kind of tell our listeners a little bit about that? Yes, so that was another sort of serendipitous part of this. When we realized that the immune cells were coming from the spleen, to do this we actually designed a study where we gave rats the sodium bicarbonate to drink, and we compared these to rats drinking sodium bicarbonate that didn’t have a spleen, so we had done a surgical intervention and removed the spleen, and this was to see if the immune cells themselves were coming from the spleen. As a control to that, to make sure the surgery wasn’t having an effect, we did a sham group where we did the same surgery, we picked up the spleen, moved it towards midline, pretended to ligate the splenic vessels, but then just put everything back in place. And what we found, surprisingly, is not only did a complete removal of the spleen abolish the response to sodium bicarbonate, but it was also completely lost in our surgical sham group. So, this sort of confounded us for a little while and we thought, well, we’ll just see if this is real. Perhaps it’s got something to do with moving the spleen. So, we went in and did another group where we did the same surgery, moved the spleen, but then put it back, and a second control group for that where we just did the incision but didn’t move the spleen, and we found out that just moving the spleen during the surgical procedure was enough to abolish the response. This made us think, well, how possibly can this signal be getting to the spleen? How can ingesting bicarbonate stimulate something in the spleen? And it turns out the cholinergic anti-inflammatory fields had a controversy now for a little while, and it’s well accepted that stimulating the vagus nerve stimulates the anti-inflammatory response in the spleen, but the problem with the field has been that the vagus nerve doesn’t go to the spleen. It’s pretty well accepted that there is no vagal innervation of the spleen. So, we’re thinking, well, how can it get there? There are some groups that suggest that there may be a small amount of vagal innervation to the spleen at the poles of the spleen so it doesn’t come down the splenic artery like with the splenic nerve, and this was consistent with what we’d seen when we moved the spleen. Perhaps we were breaking those fragile nerves that were coming in at the splenic poles. So, we decided to look for nerves at the splenic poles, and while we didn’t see any nerve tissue, we did see these fragile connections lined with these mesothelial cells. And importantly, when we stained them out looking for neuronal markers, they stained positive for neuronal markers. When we looked at them under electron microscopy, they had organelles that looked like neuronal organelles. And if we moved the spleen, the mesothelial cells on the surface of the spleen—and I should point out mesothelial cells are sort of an inner lining on our internal organs; they allow our organs to slip against each other—they proliferated and hypertrophied. So, we took this as that when you’re moving the spleen, there’s some signaling going on between these connections in the mesothelial cells on the splenic capsule that was lost. And they also lost their acetylcholine staining, or actually acetylcholine esterase staining, which is the signal that we think the cholinergic reflex uses. So, we haven’t locked it down yet, but I think we’ve provided evidence as the best explanation we can come up with for the data we have is that the mesothelial cells are actually transmitting this signal from the gut to the spleen, and that’s how we’re getting the anti-inflammatory response. What’s really interesting about it is vagal nerve stimulation also stimulates acid secretion in the stomach, so we think the common mechanism may actually be the acid secretion in the stomach. So, how profound was the impact on the inflammatory markers? Quite large. I mean, we see changes in macrophage polarization. We have predominantly M1 or inflammatory macrophages in the kidney or spleen. After just 3 days of drinking sodium bicarbonate, we see a shift where we see predominantly M2, so the percentage of M1 macrophages is going down, and M2’s is going up. We see in the blood of rats an increase in T regulatory cells from about 5% of lymphocytes up to about 10% after just 3 days. So, these are pretty big immunologic changes. And we also saw a suppression of T-cell proliferation using an assay. So, it seems to be that it seems to be functional. We haven’t looked at any of the effects of these phenotypic changes on inflammatory models yet, but that’s one of the things we’re working towards now. For those just joining us, you’re listening to “Clinician’s Roundtable,” on ReachMD. I’m Dr. John Russell, and I’m speaking with Dr. Paul O’Connor about his recent research into the anti-inflammatory properties of baking soda. So, you looked at all of this in a rat model, and many of our listeners are going to say, “Boy, I’ve been practicing medicine a long time, and I’ve heard a thousand different studies of things that happened in rats,” but you also looked at some medical students, correct? Yes. We’re lucky enough here at the Medical College to have the Georgia Prevention Institute, which is sort of one of our translational arms. So, I was discussing some of this work with a colleague of mine, Dr. Ryan Harris, and because it’s sodium bicarbonate, we were able to get relatively quickly ethics approval to try this in healthy human subjects. So last summer we got a number of healthy human subjects in and gave them a solution of sodium bicarbonate to drink, a similar molarity to that that we used in the rats in the drinking water, but it was just a one off 2g in 250 mL of bottled water. And we didn’t actually expect to see much in the initial session, but we took blood every hour on the hour, a baseline, and then for the following 3 hours from these subjects and sent that to an immunologist, Babak Baban, and to our surprise, when it came back, we saw these same changes in circulating macrophages and also in TNF-alpha positive neutrophils in the blood, suggesting we’re seeing the same type of anti-inflammatory response, at least in the phenotypic markers on immune cells in the blood in healthy human subjects. So, your study certainly has a great title, and certainly, it’s going to make its way into our newsfeeds on our phones, but every American suddenly taking some bicarbonate in some water is a leap of faith, right? Yes, correct. I’ve had a lot of inquiries about people asking, just from reading the news, the media release: How much baking soda do I take? When do I take it? And what I tell these people is this was a basic science study aimed at looking at mechanisms. Yes, we did some human work, but that was really just proof of concept that it translates across. We didn’t do any studies looking at dose response or the time of day or safety. All of these things are required before you’d even take bicarbonate safely, let alone treat autoimmune diseases, and we certainly at this stage, as I mentioned earlier, don’t have any evidence that it works against any autoimmune diseases. There are, hopefully, some studies coming through. So, as I mentioned, the primary way people have been activating this pathway to date has been electrical stimulation of the vagal nerve, and the success of sort of the preclinical studies in that field has led to a number of clinical trials that are now ongoing. 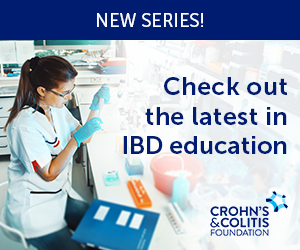 So, we know about one in rheumatoid arthritis, and there are some ongoing studies in Crohn’s disease. Those studies will probably give us our first idea of whether or not activation of this pathway may be therapeutically beneficial in patients. And from then on, perhaps sodium bicarbonate ingestion or some derivation of that will be something we can use to really open up the availability of this pathway to many, many people, but at this stage, just going to your cupboard and taking bicarbonate is premature. And certainly, there are some health concerns you really should be aware of, that taking too much bicarbonate is going to be dangerous, and even in some people just taking a little bit of bicarbonate is going to be dangerous, so we don’t recommend anyone just go to their pantry and start mixing bicarbonate and water for this purpose just yet. So, one of the things in reading about your work that I thought of is we have all of these people who are taking apple cider vinegar, which is an acid. So, could that make inflammation worse if we’re looking at this acid-based premise, correct? Of course, it was news to me as well, but currently, baking soda is a home remedy and used by a lot of naturopathic practitioners, so I think that’s part of the reason why people have gained an interest in it. I think that’s why it’s important to understand the mechanisms of things that are going on. Certainly, people are mixing baking soda with lemon juice or with apple cider vinegar. I mean, we think… The best of our data suggests that it’s actually the stimulation of acid secretion by the buffer, so if you mix it with an acid, you’re not going to get that response; you’re just going to be drinking sodium chloride, essentially, so that’s not going to give you a beneficial response anyway. We don’t think that… I mean, the stomach’s already acid, so taking an acid doesn’t make it particularly more acid. We think you’re going to see a benefit, potentially, from adding buffers like sodium bicarbonate, but I don’t think taking apple cider vinegar as an acid is going to do anything. But it does also, importantly, point out that these metabolic alkaline, like fruits and vegetables, may not activate it. Even though they call it an alkaline urine, it looks like it’s the stomach secretion of acid, which is the key mediator in this response. So, how long do you think we’re going to see your work that’s bench work that’s actually going to be something that we’re going to have answers for our patients? It depends on funding, really. All of these things are sort of competitive. You have to do some more preclinical trials and get people interested in the idea and see if it does work therapeutically in animal models, and then you move it through the process slowly. Of course, this being a pretty well-tolerated substance might move quicker than others, but it has to go through the same process, so I can’t really give you a good idea of how many years or months off the floor we could move it to that stage. So, finally, Dr. O’Connor, any other thoughts or takeaways you’d like to share with our audience? We’re thankful for the interest in our work and to know that we are working towards moving this through to a therapeutic option, and I think this study, as well as the many studies it builds on, are a good example of how basic research really can contribute finding new therapies. Well, clearly with the rising prevalence of autoimmune diseases, finding new research avenues into anti-inflammatory treatments is so important, even if the new treatments end up being a lot closer and more accessible to us than we already know. Dr. O’Connor, thanks for joining me today and sharing your thoughts. I’m Dr. John Russell. To access this episode and others in this series, visit ReachMD.com where you can Be Part of the Knowledge. Thanks for listening. Explore how a household staple may have the power to reduce excessive inflammatory responses. Sodium bicarbonate (more commonly known as baking soda) has been used as a raising agent when baking delicious sweets for years. But as new research suggests, taking a daily dose of baking soda could also be used as a therapeutic agent. Tune in as Dr. John Russell speaks with Dr. Paul O'Connor, Renal Physiologist at the Medical College of Georgia in Augusta, about his recent investigation into how this common household product could treat autoimmune diseases such as rheumatoid arthritis.